Like dark chocolate and red wine…..Sculpture and Plants are made for each other! These are a few of the sculptures on show at the North Carolina Botanical Gardens 27th Annual Sculpture in the Garden which showcases the splendor and beauty of art in the garden from September 20-December 11, 2015. 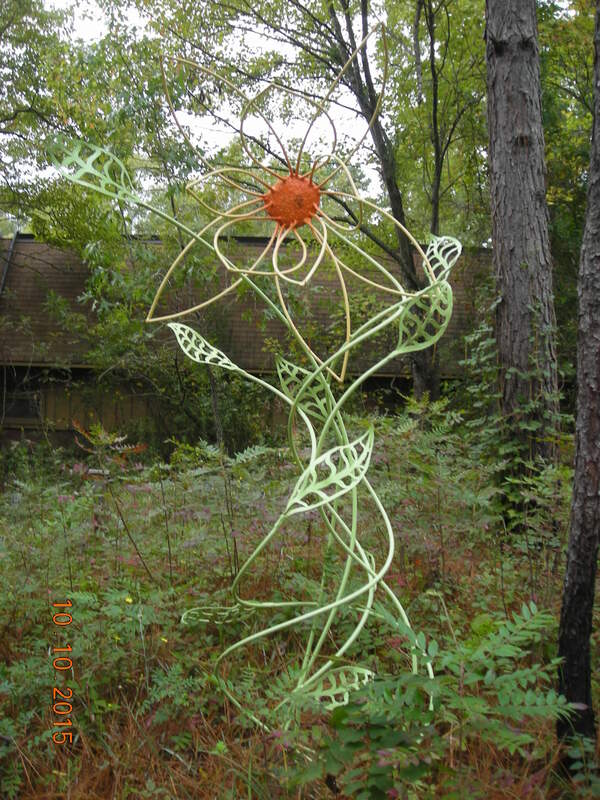 It always inspires me to create a sculpture for my own garden; maybe next year? 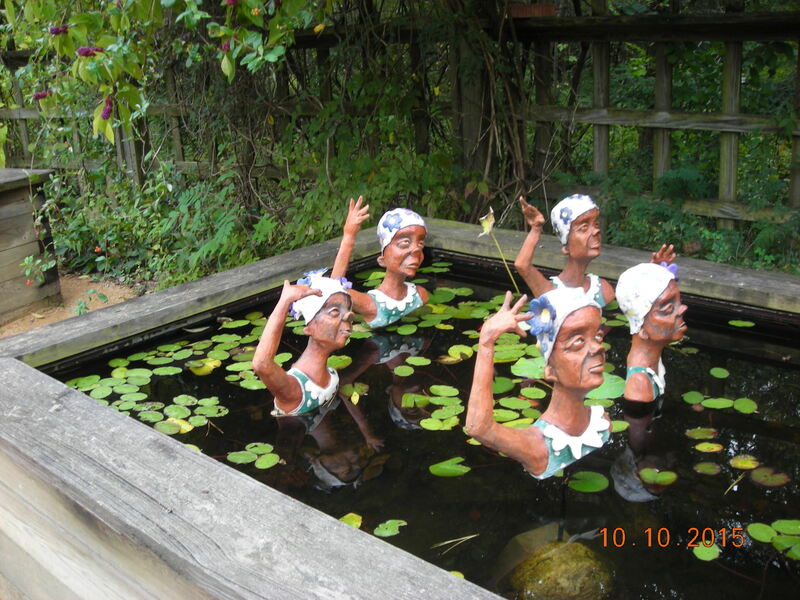 I love discovering sculptures in unexpected places – these look great! Yes, a piece of sculpture is a great focus for any part of the landscape and of course, invaluable in winter when you need something to add interest in the empty spaces when some of the plants die back or go dormant. Previous Previous post: Season of mists and mellow fruitfulness ….